All Integrated Solutions delivers the right product, for the right application, at the right time – with the right insight. 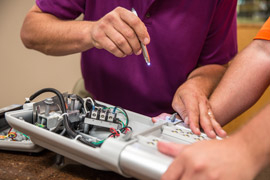 Using the knowledge gained through manufacturer product training, industry forums, and hands-on experience, AIS helps you build a foundation on which to grow your business. Our dedication to customers is simply unbeatable: we’re ready to answer product- and application-specific questions when you need us. No need to reference a catalog number or product SKU. Simply pick up the phone – and you’ll have an immediate response from our experts. AIS uses the Total Procurement Cost (TPC) model to reduce your tool and fastener supply base, consolidate invoicing, and generate real-time cost savings. We’ll improve TPC by supplying OEM fasteners, MROP products, production tools and abrasives, and a wide range of class C commodities. 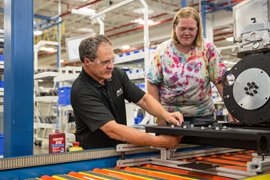 AIS evaluates the “trouble spots” and tough problems along your assembly line, and works to design custom solutions. From idea generation and design through product tests, AIS has the insight you’ll need. Backed by our specialized product and industry expertise, AIS designs and implements reliable VMI programs. Using the latest industry technology in barcode and electronic data collection, AIS has the right product in the right place at the right time–with 99.98% accuracy. AIS develops custom inventory management plans to improve productivity and control procurement cost. 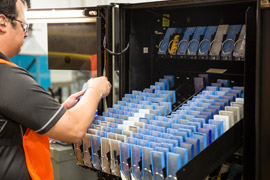 Using state-of-the-art technology, including tool supply cribs, point-of-use product replenishment, traditional vending machines, and advanced RFID solutions, AIS efficiently manages MROP inventory. 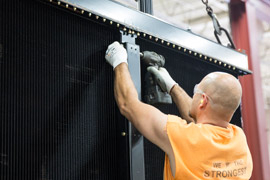 Our experts in OEM and MROP, combined with our world-class portfolio of suppliers, will help you maximize production efficiency. 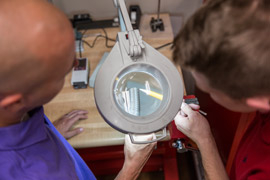 At our in-house quality lab, engineers perform product teardown to troubleshoot assembly issues, create PPAPs, and design custom solutions that will reduce costs and eliminate waste. 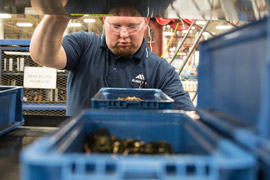 AIS designs and implements lean initiatives for our manufacturing customers to drive cost reductions, create operational efficiencies, and improve profitability. Together with Next Level Partners, AIS conducts lean programs in our classroom and at your plant to encourage continuous improvement.